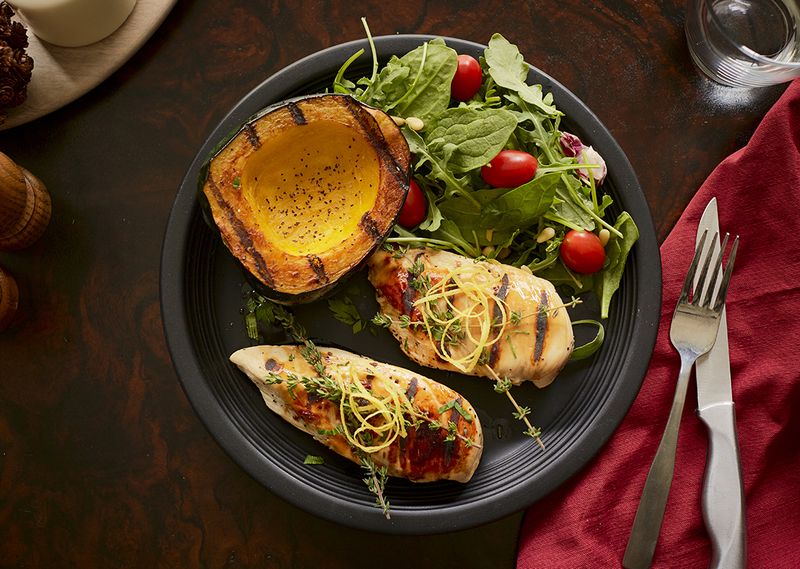 Weeknight Meal: Sweet maple and earthy thyme come together for a perfectly marinated chicken breast that’s great for an easy weeknight dinner. In a small saucepan, whisk together maple syrup, maple extract, brown sugar, oil, garlic, lemon juice, salt and pepper over medium-high heat. Bring to boil, whisking occasionally until sauce begins to thicken, about 1-2 minutes. Remove marinade from heat and add thyme. Allow to cool slightly, about 5 minutes. Place chicken in a large bowl and pour maple marinade over top. Cover and place in refrigerator for 30 minutes to marinate. 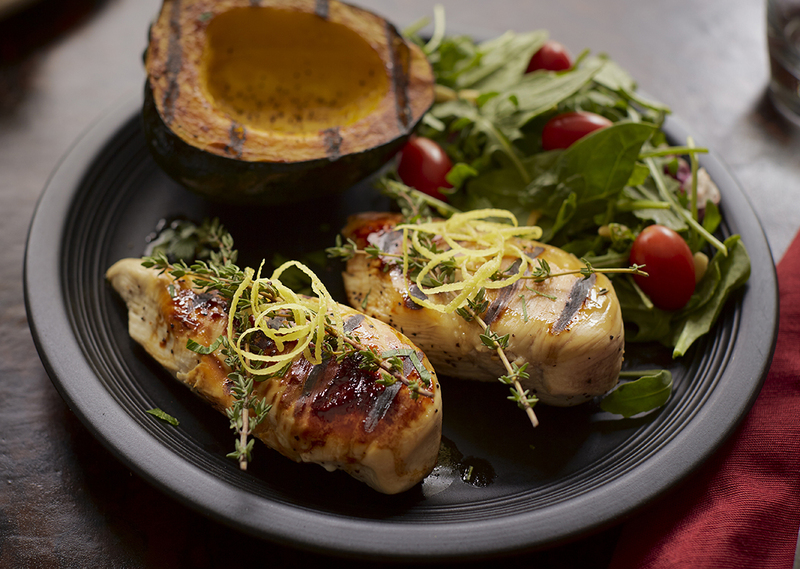 Remove chicken, discarding thyme, and place on preheated grill. Grill for 6-10 minutes (depending on thickness), or until chicken reaches internal temperature of 165°F. Note: if grilling on Indoor/Outdoor grill, grill for 10 minutes per side. Serve hot with your favorite vegetable and starch.